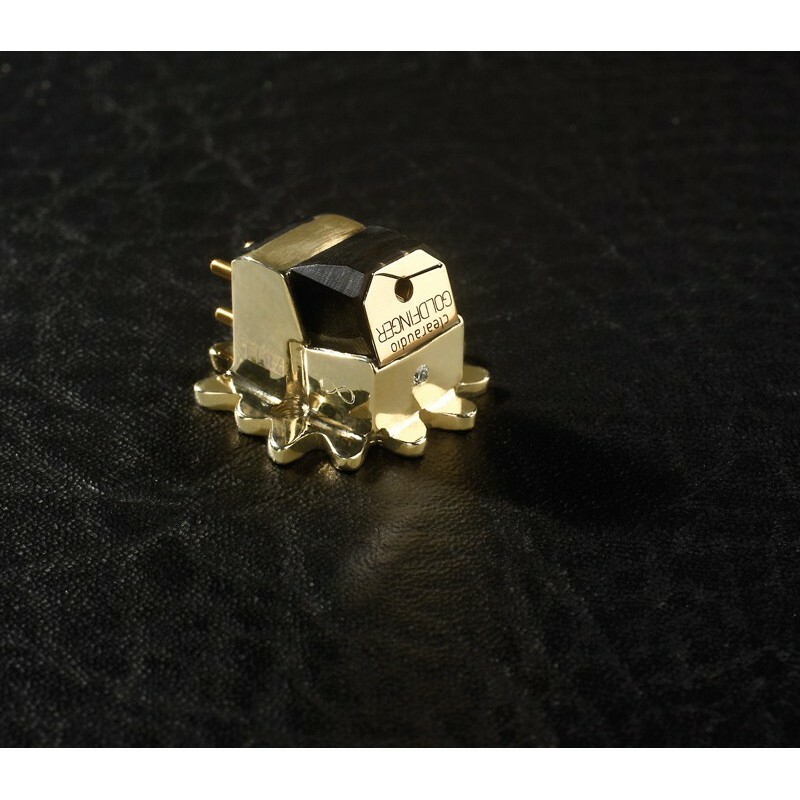 Elegant MC cartridge made of 14 carat gold. 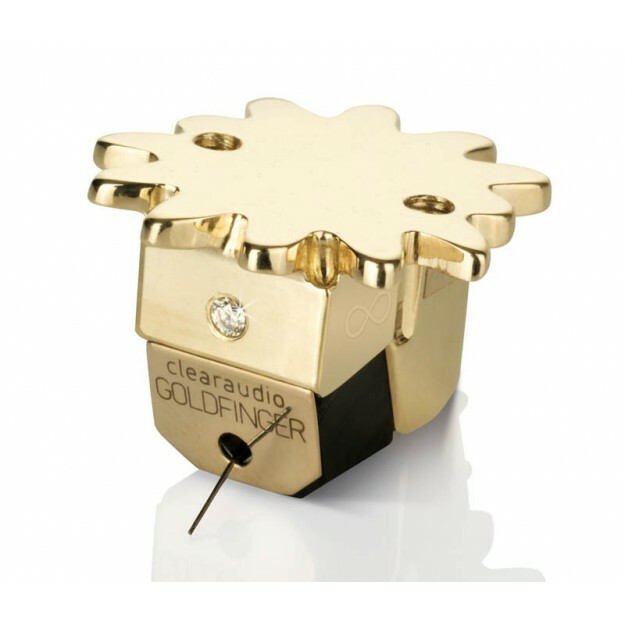 The Clearaudio Goldfinger cartridge is the flagship product in the German brand’s MC range. It is the perfect illustration of Clearaudio’s expertise in moving coil technology. Clearaudio poured all of its most up-to-the-minute technical and technological efforts into producing this state of the art cartridge. It also boasts a striking aesthetic, its 24 carat gold body and ½ carat stylus giving it a distinct air of sophistication and style. Its magnetic parts have doubled in number, from 8 (in the Titanium) to 12! Its super strong magnets form a circle in a Clearaudio patented layout. This assembly generates a powerful magnetic field that enables moving masses to be reduced, which as a result reduces the size and weight of the coils. This increases dynamic range and transparency to be increased, while reducing crosstalk and distortion. The coils were made with the utmost care and precision, using a high quality conductor made of 24 carat gold. The Boron cantilever accommodates a beautiful Micro HD stylus. This very fine stylus enables excellent contact with the groove. Note: its light weight (5 times lighter than the standard stylus!) means it can reproduce every single note with incredible transparency, dynamics and detail. The dynamic range reaches volumes of over 100 dB!